If you wish to view or update your current billing information on Figured, you will need to navigate to the billing section of Figured - this is different depending on whether you wish to update personal or organisation billing. 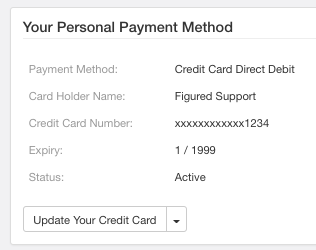 If you have enabled personal billing on Figured, you'll need to navigate to Your Profile > Billing & Subscriptions. 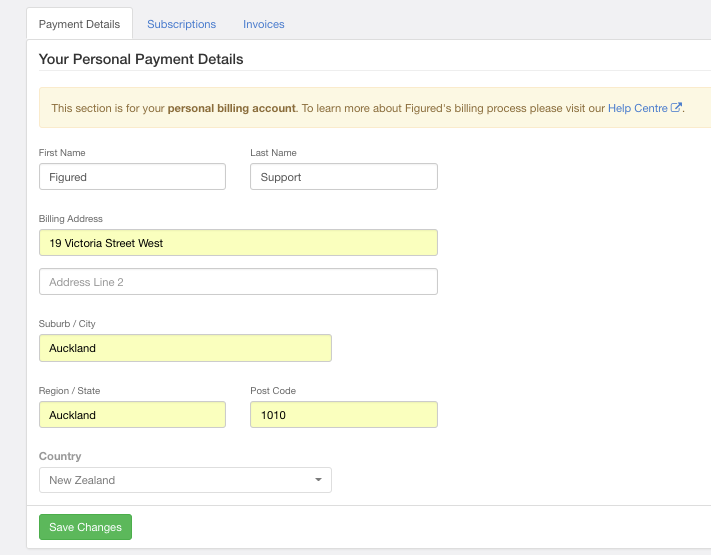 From there you will be able to view and update your billing details along with your current payment method. If you are a member of an organisation on Figured and you have access to the billing section of your organisation, you will be able to find this information under Your Organisation > Billing. From there you will be able to update your organisation billing details or payment method. NOTE: Your credit card and bank account details are processed by the secure payment processor Ezidebit. Figured does not store or retain your credit card or bank account details as per the Figured terms and conditions (Section 3.1).